There’s a lot of BAD advice out there about sales and selling. Even if it’s not bad advice, it’s usually meant for “professional” sales people — or those who sell for a living. Not only does much of the “traditional” sales advice not apply to you, it’s actually extremely dangerous for you. There should be PLENTY of clients who need your help… probably somewhere in the hundreds or thousands. While there are only a handful of experts like you that clients can work with. So you’re the prize here. If a client doesn’t want to work with you or isn’t ready, you simply move on to the next one. But if a client has a burning problem and you are uniquely positioned to solve it, they’re going to have a hard time finding someone else like you. Again, if you’re well positioned. 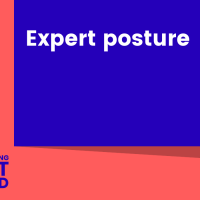 They maintain the “expert posture” from the very first interaction they have with a client. BTW, for a deeper dive on this, check out my podcast interview with David C Baker.